It took a little playing around, pattern piece tetris is a real thing. The left picture shows the layout I ended up with and the little pile of skinny scraps on the right is all I was left with once it was all cut out! I cut the inner waistband and both pocket pieces from different fabrics in the scrap box to save space. 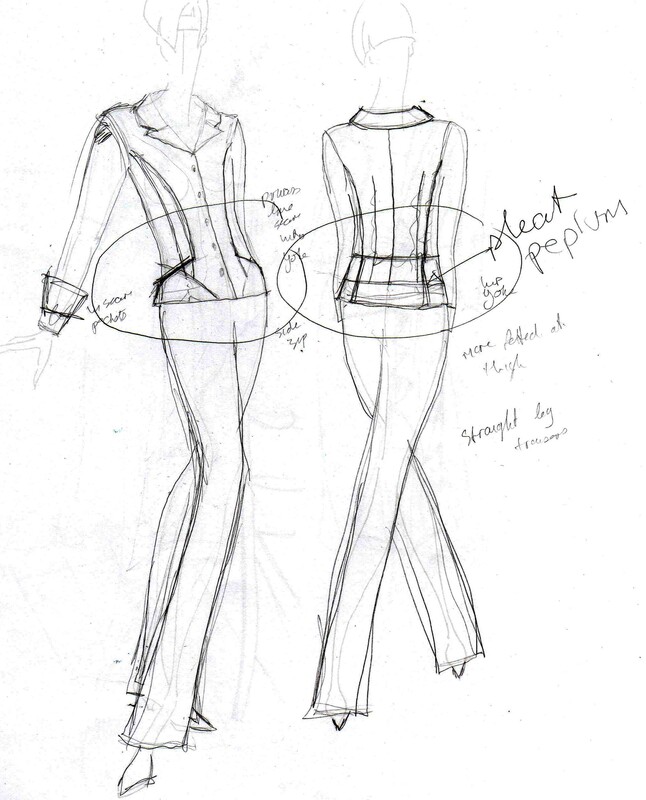 The trouser pattern is 109 from Burdastyle magazine March 2010 and the jacket is my old staple, 116 from Burdastyle magazine April 2009. I think this is the fifth version now! I decided to leave the jacket unlined, and to use Hong Kong finish on all the internal raw edges. A piece of pansy print Liberty lawn was liberated from the scrap box that worked perfectly against the beige. I cannot tell you how many metres of bias I cut in the end, suffice to say it was a lot. 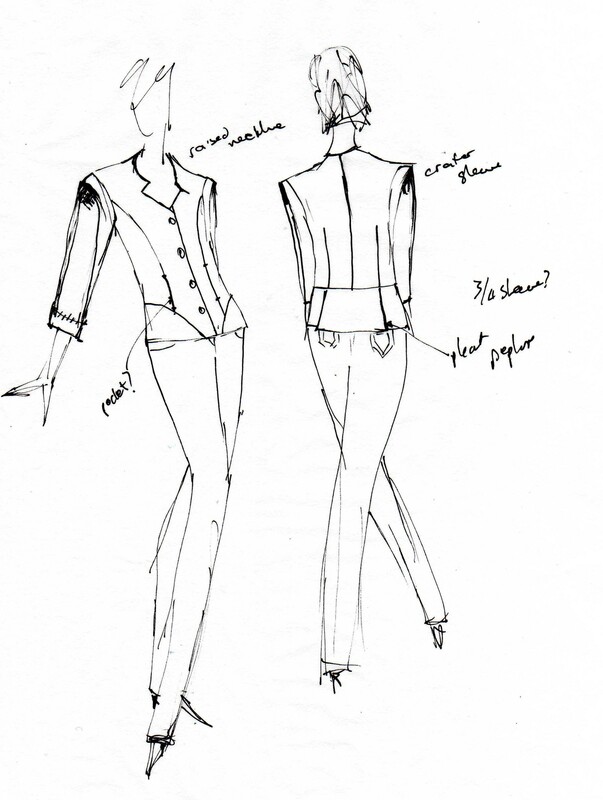 Because the jacket was unlined, the shoulder pads were covered in the same fabric. I had thought I’d get away without them but the jacket looked all frumpy and structure-less. So, trousers. I went for the shorter version and still chopped out 4cm. A remnant of silk was cut for the pockets, and a pocket facing was added, using the cotton sateen so you don’t just see silk at the opening. The pockets are of the in-seam variety. The inner waistband was cut from a remnant of printed cotton sateen that had made a pair of trousers and a skirt for the daughters in the past. The button closure and trouser hook & eye came from the stash. I overlocked all edges before starting to sew, that way I don’t have to stop and start and can get a pair of pants made in a day. I really like the colour it goes with all my new handmade tee-shirts! The stretch is really comfortable, I like the stitched seam on the front pieces, it gives a sense of length, which is sorely needed. The jacket pattern is one I have made many times now. I think this is the most crisp though. Even my linen one, lined, is softer. Just means I need to work harder to remove that darn double chin my family genes is/are so fond of…. I really wanted a light weight jacket, so no lining. That also means far less structure and interfacing than I’d normally use. 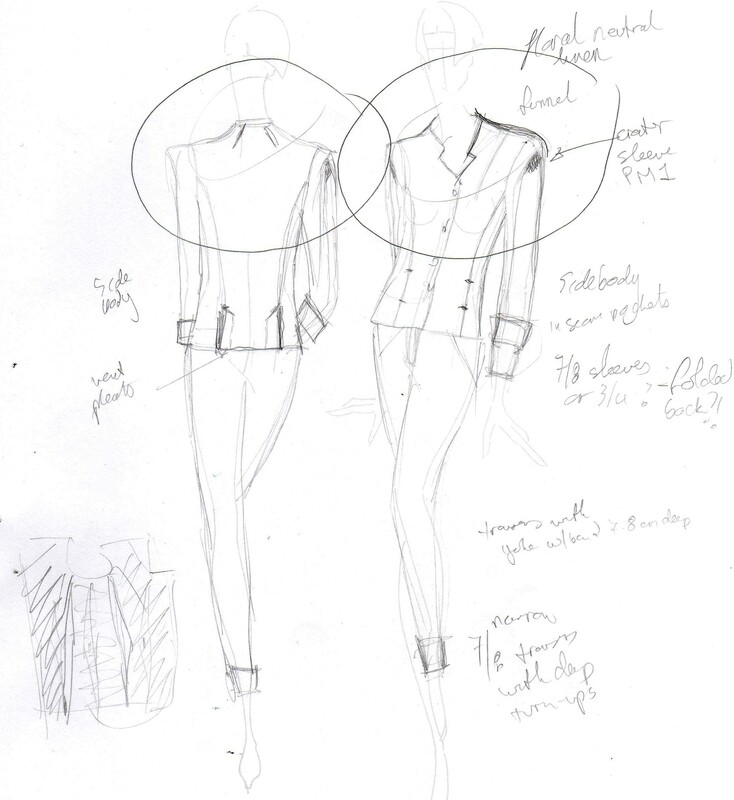 Only the facings and collar pieces are interfaced, relying on the structure of the fabric to give the jacket a good shape. The jacket was actually made fairly quickly, considering the metres and metres of bias that needed to be attached! The reason why it hasn’t seen the light of day until now (apart from no photographer) is that I couldn’t for the life of me find the right buttons. Beige buttons on a beige jacket are BORING! Metallic ones just looked too bling. White looked insipid and black too much of a contrast. So I was stuck. Help came in the shape of a friend who went through my buton stash with fresher eyes than mine. She found these interesting regtangular buttons and practically dared me to use them. Challenge accepted! 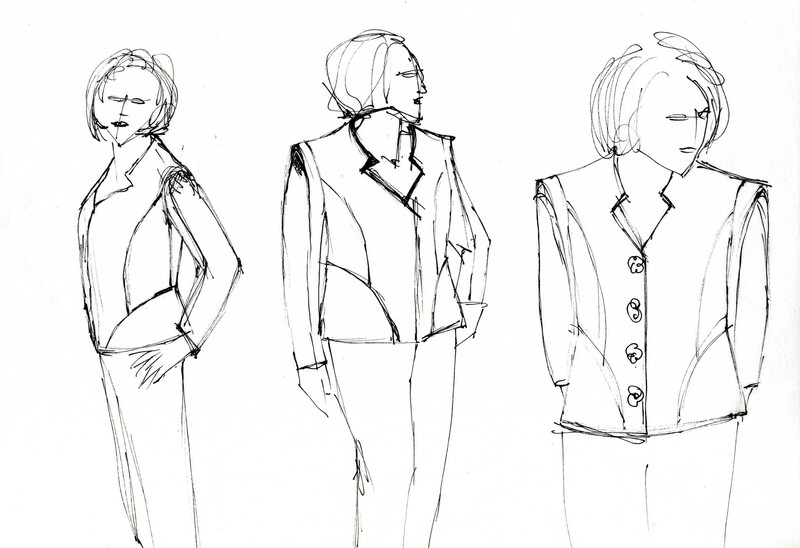 Burda jacket details, covered shoulder pads, Hong Kong seams finish & rectangular buttons. On to the last item for the day! I’d ordered two pieces of grey viscose jersey from Croft Mill Fabrics, dark grey, & a lighter, silvery piece at the beginning of March. Can I just say, these jerseys are so soft!! They have the most amazing drape which means every bit needs to be stabilised! I chose a tee-shirt pattern I’d liked before but not got round to tracing, 138 form the March 2011 Burdastyle magazine. It’s in the plus-size section. I liked the twisted neckline treatment and the tab on the sleeves. 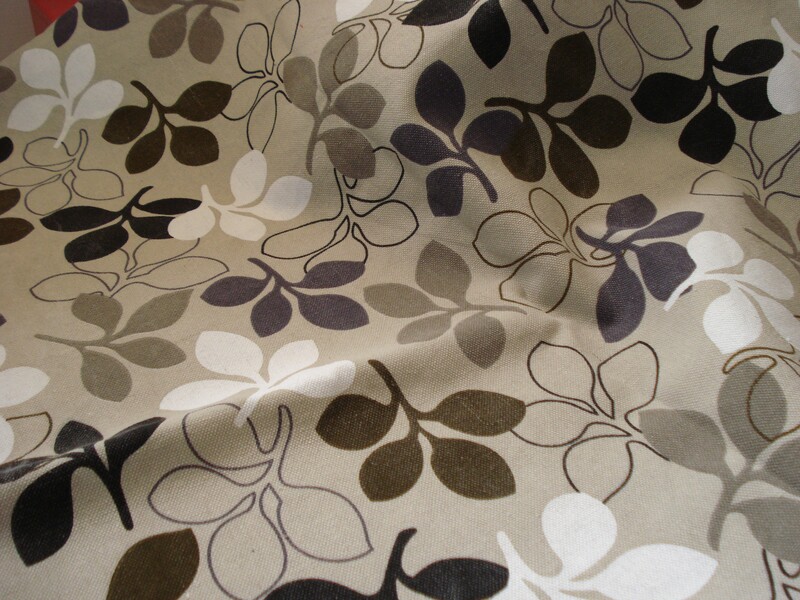 I made the 46 with a 6cm FBA but with this soft fabric I wonder if I could have got away with the smaller size. The armhole seams, front and back, are stabilised with Vilene bias tape, having learnt the hard way last year that this sort of fabric keeps going down…. Initially the neckline wasn’t stabilised, but as the day wore on I realised that wasn’t my brightest idea, so back to the ironing board it went. Now the neckline, while a little low, doesn’t try to migrate any further south. The neck band is simply a rectangle that isn’t folded symmetrically. Once the centre back seam is stitched, instead of folding and pressing you move the seams 3cm apart which gives a little pull on the folded edge. This creates the “twist”. The sleeves with tabs are easy to sew, if using a soft fabric like this though, I suggest you iron on a bit on knit interfacing where the tab goes to stop the fabric stretching as you do the topstitching. Unfortunately, this fabric doesn’t work folded up. It’s too soft! 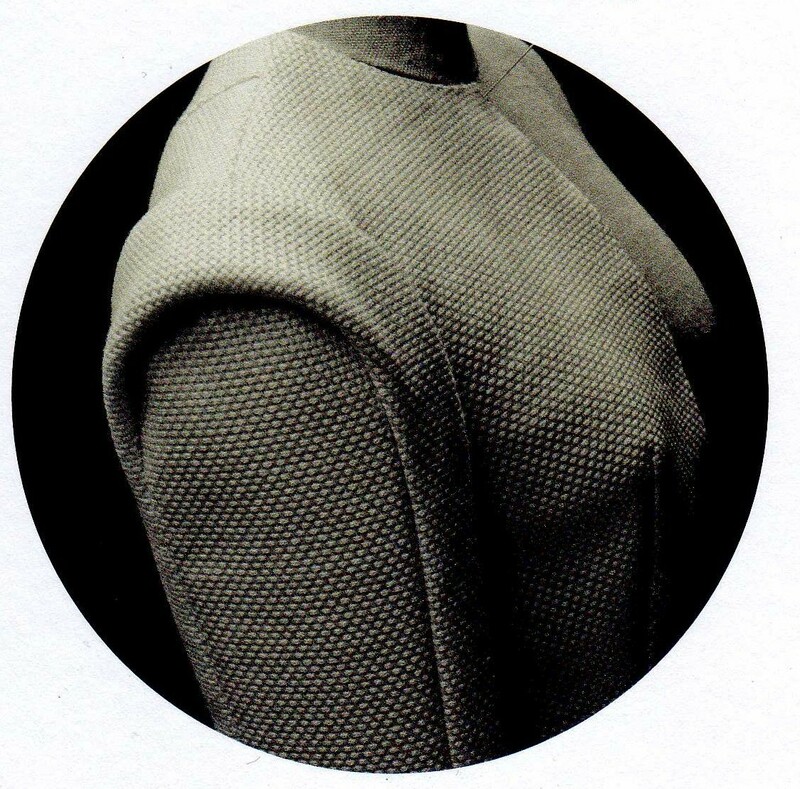 I don’t really mind, the sleeves are a good length and I like the detail left with the buttons and stitched squares. The only other adjustment I made was to remove length. I took 5cm off the bottom and still turned up a 4cm hem. I get that some people prefer longer tops to hide things, but on me I’d look very, very short and definitely feel like I was wearing a tent! All said, I am happy with my new outfit, not 100% sure if I will actually wear the matching jacket and pants together, but I have that option. All items are in my suitcase for the holiday as with colours like this you can wear anything! Score more for busting some stash & scraps, making a matching outfit and using freshly bought fabric before it found the stash!